Looking to move on to the next phase of your life, but firmly wedged in place by a pile of possessions? Break free! Wanting your home to be a place of rest but feeling stressed out by clutter instead? Get things back under control! Facing the challenge of dispersing an entire house full of belongings? It may not be as daunting as you think. Sounds good? Ready to take the first step? Please don't be. This is what I do. I can only help you if you let me in. I am not here to pass judgment. My purpose is to help you reach your goals. This journey may not always be easy. I will stand behind you all the way. I treat your possessions gently and carefully, and won't make you part with anything you want to keep. Be assured that your privacy will never be compromised. I LOVE my work! 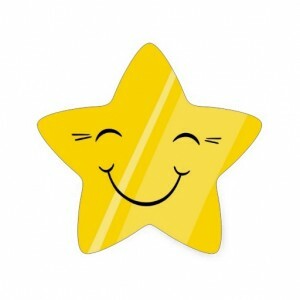 Every day I get to directly improve someone’s quality of life, and make their day a little easier. 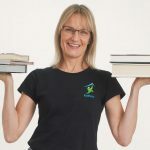 It’s so incredibly satisfying to be able to help my clients dig out from under piles of stuff that no longer serves them, and seeing a weight literally lifted off their shoulders. 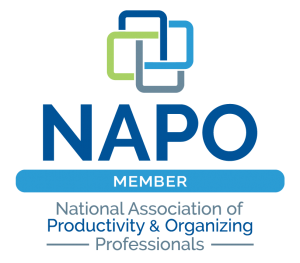 I am a member of the National Association of Productivity and Organizing Professionals (NAPO) and belong to the Baltimore chapter. I am fully insured through NAPOsure, a comprehensive program tailored specifically to the needs of Professional Organizers. 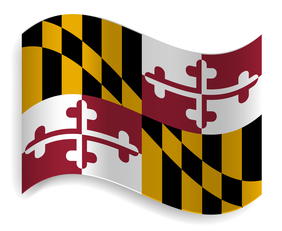 I serve the following Maryland counties in the DC Metro area: Anne Arundel, Calvert, Charles, Montgomery, Prince George’s and St. Mary’s. Other areas upon request.